The first model, launched in 1989, was created to be a lightweight and fast car, without losing out on reliability and modern enhancements. Through the years, the initial concept remains, making the Mazda MX-5 an evolutionary engineering feat for everyone to enjoy. Aptly named as well after the Old High German word for “reward,” the Mazda MX-5 is truly a gift one can savor driving down the streets! Let’s find out more on what makes the Mazda MX-5 such a rewarding drive below. Emphasizing the KODO design philosophy that Mazda integrates in all of its models, the MX-5 is definitely a vehicle that exemplifies aesthetic engineering design. For a roadster, the Mazda MX-5 is also the perfect vehicle that both maximizes and pushes the boundaries of what open-air driving should be. The latest model, aside from the conventional retractable roofing design, also comes with a hardtop variant that’ll delight motorists who’d want the thrill of driving under a durable and stylish roof. For those who desire the thrill of the open air, the Mazda MX-5 RF (Retractable Fastback) is the car of choice. In line with the need and soul of speed, the MX-5 RF takes pride of the fastest opening/closing mechanism of a retractable hardtop. At just 13 seconds, all it takes is a flip of a switch to transform the car’s overall look. Additionally, key and subtle details incorporated into the Mazda MX-5 RF sets this car apart from other convertibles in the market. The teardrop shape incorporated into the cabin, coupled with the seamless positioning of stowing the overhead roof panel and back glass safely out of sight are essential aesthetic details much-appreciated by motorists with a keen eye. Best of all, and in emphasizing function and design, the latest Mazda MX-5 is an even more lightweight version from its previous counterparts. With almost up to 100kgs taken out, the new MX-5 delivers more agility and speed – perfect for the stylish look it exudes! The Mazda MX-5 is equipped with powerful and efficient engineering delights. First and foremost, the 2.0-liter Skyactiv-G engine, at a whopping 155-horsepower, delivers the needed power that will best suit the design of this stylish car. A 6-speed transmission (with the option between manual and automatic drives), is a treat for drivers who want the thrill of burning asphalt to get to point A to B in the fastest manner possible. The MX-5’s chassis has been refined as well: a two-pedal configuration, drives can definitely be transformed into races in a jiffy. Of course, control has been improved as well – the Electric Power Assist Steering (EPAS) provides the needed support to help drivers take control of the beast within this car! 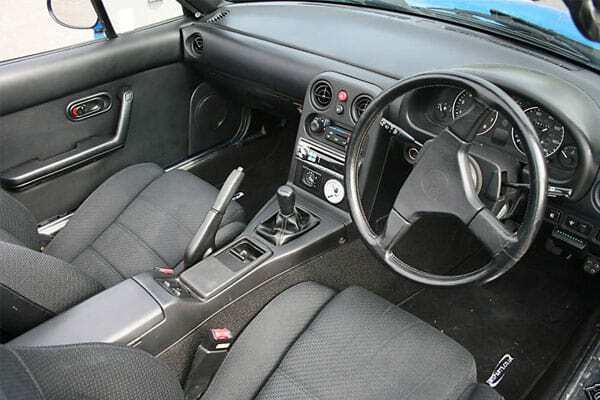 Yet, even with the top-of-the-line engineering or motoring integrations and the totally impressive design of the car, what makes the Mazda MX-5 such a thrill and delight to drive may be seen in this philosophy: Jinba Ittai. To “awaken hidden emotions” is the main drive of why the Mazda MX-5 was created in the first place. Jinba Ittai, or the ultimate driving experience of creating a connection between the driver and the machine, delivers the best in performance and safety for one. It may be a stretch, but do think about it – the opportunity to be as one with a machine (especially if it’s the stylish Mazda MX-5) means that a car manufacturer definitely goes above and beyond in creating a car that’ll matter. A car that connects with the driver can provide safety. The comfort and confidence one gains from a car that directly links to his or her driving style means total control. An emphasis on control – millisecond driving decisions matter, for it may mean the difference from a disaster or not. For most typical drivers, being able to experience how racers feel whenever they are behind the steering wheel is just a dream. A fantasy that most hold dear, it’s all in the head when one wishes to have the chance to feel that thrill and passion. 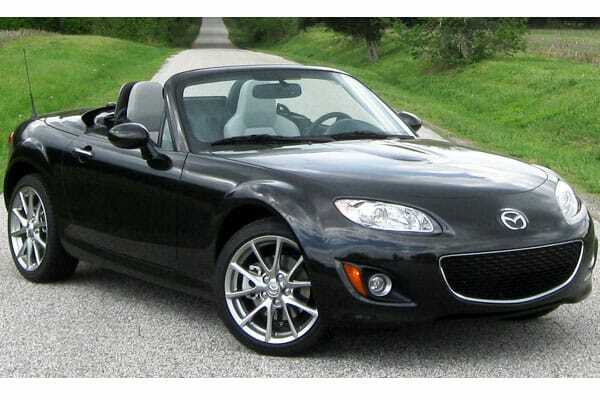 But the Mazda MX-5, given the chance, can make that dream into a reality. Of course, racing needs to be certified and under controlled variables, yet the connection that this car can create towards its drivers can deliver the taste of what real racers feel. And sometimes, all it takes is just a taste of that exhilarating feeling to make drivers realize the bliss one can have during races. The pleasure that the Jinba Ittai philosophy provides is truly a reward to be savored! A car, for some, is an extension of one’s personality or desires. More than the stylish looks, driving the Mazda MX-5 (and its Jinba Ittai philosophy) can grant one the chance to truly express what he or she wants on the road. 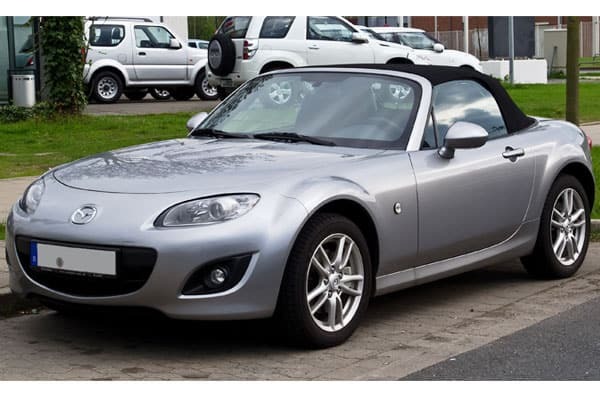 As subtle as it may be, and no matter how different driving styles are, the Mazda MX-5 is the best vehicle and outlet for one to make a mark on the motoring scene. It isn’t just an extension to one’s personality – being one with the vehicle is the best way to move forward towards a brighter future. In other words, the Mazda MX-5 is a real reward – motoring-wise and philosophically, that is!